Liverpool centre-back Dejan Lovren has an injury and he may skip the Champions League match against Bayern Munich. This is terrible news for the Reds as Virgil van Dijk also misses this game due to suspension, Joe Gomez injured and there is only Joel Matip in defence. Croatia international started this season impressively but missed many games due to an injury. He is an unchanged figure for the club and it will be very difficult to achieve success in any competition without him. Dejan joined the Merseyside club from Southampton in 2014 with a €26m deal. He is one of the best centre-backs in Premier League and an important person for the club. In this season, Lovren played 13 matches, scored one goal and made one assist in all competition. This is an amazing result for the footballer who skipped numerous games during this campaign. 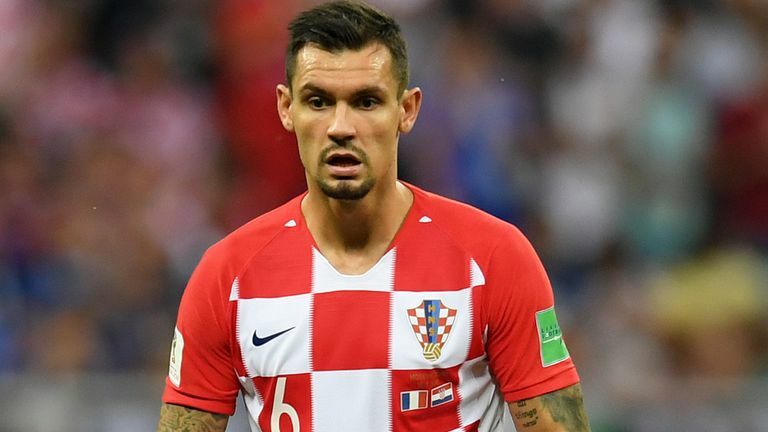 Croatian defender is contracted with the English club until 2021 and his release clause is around €20m. His price could increase and become much more. The 29-year-old centre-back is a regular member of the national team and also helped them to finish 2018 Mundial in a second place which is already a big achievement for the player. Liverpool have a difficult calendar as they have to face Bundesliga giants next week and then Man United in the Premier League. Probably Fabinho will back-up Croatian defender as Brazil international is a versatile footballer and can play in several positions. Reds linked with Napoli centre-back Kalidou Koulibaly and planning to make a bid during the summer transfer window.